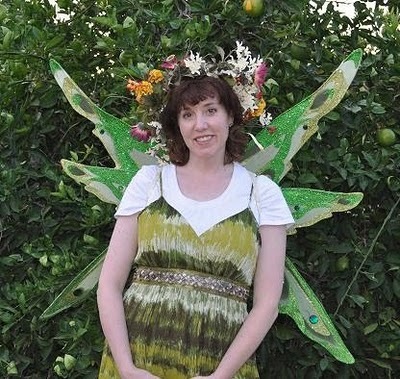 Yes, I’ve decided everyone looks better while wearing wings and a flowered wreath on their head. You are so fairy-like, Janette. And I mean that in a good way. I would love to attend any and/or all of the events. Alas, I do not live in the correct state. *huge sigh* And as for the purse, BUY IT. Who cares if it’s a want. It’s adorable and only $15. I agree with Shari. It’s a cute purse, and $15 won’t break the bank! Go for it! I think I might start wearing wings around too. Have fun. I wish I lived in the right state too. Wish I could be at one of them! I hope I can be part of this event. I would really love to wear purple fairy wings.